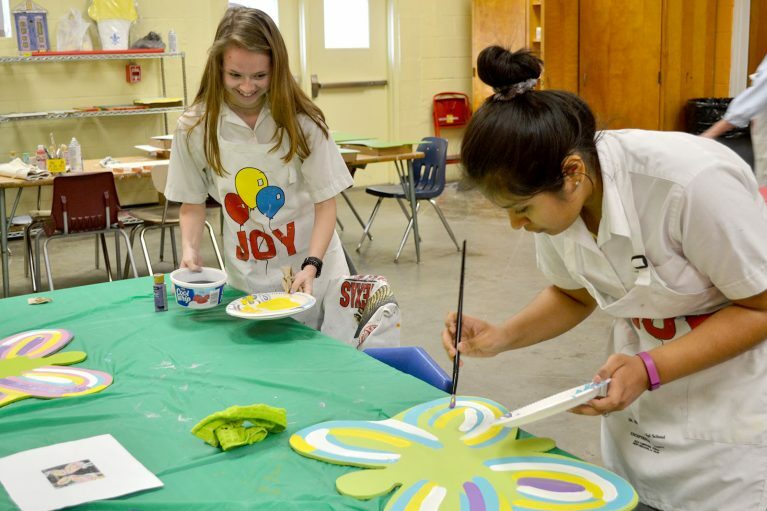 At St. Michael Special School’s Joy Activity Center, members of Dominican’s National Art Honor Society (NAHS) enjoyed a colorful painting session with St. Michael students. Together they painted several decorations that were created in St. Michael’s Wood Shop. The Joy Activity Center serves St. Michael Upper School graduates 22 years of age and older who thrive in an environment of continued cognitive engagement and daily social activities. Adults in this program serve as ambassadors for the school with a variety of on campus responsibilities. They also participate in cooking, crafts, mission club, reading and math fundamentals, health and wellness, music, and intramural sports. 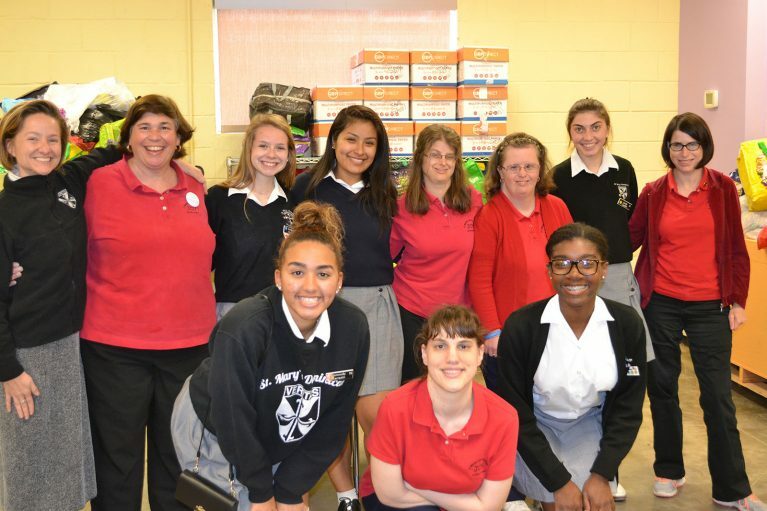 The visit was part of the NAHS annual service trip and included lunch with students and staff. Before returning to Dominican, a group photo was taken by St. Michael student Joseph Hankins.